If you are a typical mutual fund investor, there are at least five common mistakes that can beguile even the best intentioned person when they put together their portfolio. By focusing on avoiding a few, big errors, you might have a chance at reaching retirement with hundreds of thousands, or even millions, of extra dollars in wealth due to the power of compounding. In most cases, these tricks can even help you lower your risk profile, so it is truly a case of having your cake and eating it, too. I want to take a moment to address these five mutual fund investing mistakes so you can avoid them in your own life. At the very least, if they make you think before you commit your hard-earned capital, I'll consider my job well done. I know first hand of investors who diligently put a portion of their paycheck into a portfolio of mutual funds. But if you ask them how much they are paying the mutual fund management company in the form of fees, a figure included in the so-called mutual fund expense ratio, they can't tell you. This ratio is extremely important to you. I once wrote an essay that detailed how two funds owning virtually the same portfolio would result in vastly different levels of wealth for the investor based upon the mutual fund expense ratio. As a general rule, you should only own mutual funds in the bottom 10% to 20% of expense ratios. The reason for this is simple. For every $1 you spend in management fees, you have $1 less working for you in your investment. That is $1 less generating dividends, interest income, and capital gains. Over time, seemingly small amounts can have big influences on your pocketbook. For the mutual fund investor, sales loads are a raw deal. A sales load is nothing more than a commission that you are paying, out of your pocket, to the person or institution who convinced you to buy the mutual fund! There are all types of sales loads - front loads, back loads, deferred loads ... that is why I wrote What Is a Mutual Fund Sales Load?. If you own a dozen mutual funds, but they all own the same underlying stocks, bonds, or other securities, you aren't nearly as diversified as you think. Today, the mutual fund industry has expanded to the point that there are mutual funds engaged in nearly every strategy, both conservative and outright gambling, that you can imagine. There are even leveraged mutual funds that short different indexes such as the S&P 500 on a 3-1 basis! 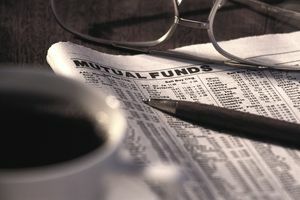 Many mutual funds have multiple share classes. One popular structure involves different levels of shares that offer lower expenses with higher minimums. In What Is a Mutual Fund Share Class?, I explained how one of the biggest index funds in the world has many different tiers that go as high a minimum investment of $200 million. Whenever you qualify for a higher share class, it might pay (literally) to look into converting your holdings into it. Before you even consider investing in a mutual fund, you need to read the prospectus. This special legal document spells out the investing strategy the mutual fund management company will use to invest your money, as well as many other important details. If you are interested in finding more information on this investing topic, read the special hub I put together for you called The Complete Beginner’s Guide to Investing in Mutual Funds. Working your way through it sequentially should provide a good foundation for the basics.